Theft crimes in Massachusetts are sometimes otherwise referred to as Property Crimes, because it's property that is inevitably the focus of the specific crime that is charged. There isn't one type of theft crime or property crime, but rather several types. The terms "Theft Crime" or "Property Crime" don't represent crimes themselves, but rather represent a category of several different specific crimes under those categories. Massachusetts groups a number of different theft crimes into one broad category known as "larceny," with several different sub-categories, the most common of which you can see listed below. If you click on any of those linked crimes from the menu at the end of this page, you will be taken to a separate page discussing that particular theft crime. As a general matter, the specific statute governing "larceny" in Massachusetts is General Laws Chapter 266 Section 30. When someone takes possession of property belonging to another person without their consent, that act constitutes the theft crime of larceny. The value of the property stolen, and the circumstances under which the property is stolen, determines the specific crime that is charged. Generally speaking, stolen property that is valued at less than $250, is usually classified as petty larceny, which is a misdemeanor offense in Massachusetts. If the stolen property is valued at greater than $250, the law considers the offense to be classified as grand larceny, which is a felony in Massachusetts. Grand larceny can be punished by a maximum sentence of five years in state prison, a maximum fine of $25,000, or a county jail sentence of up to 2 ½ years. Larceny and robbery are not the same: Robbery is a form of larceny, and is discussed in greater detail in the list of crimes below. If you click on it, you'll see a brief discussion of these differences. As in any criminal prosecution, the difference between a misdemeanor offense and a felony offense is found in the penalties provided by statute: A misdemeanor offense carries a maximum jail sentence of 2 ½ years in a House of Correction or County Jail; a felony offense provides for a state prison sentence of anywhere from 2 ½ years to life, depending on the offense. Punishment and sentencing following conviction of these types of crimes varies widely - there is no "one sentence." Depending on the specific offense and the facts surrounding it, a judge could impose jail time ranging from a day in a county jail to several years in state prison. Fines, restitution, community service and probation are all additional possibilities. If the defendant has a criminal record, the likelihood of a more serious sentence increases. If the defendant caused some type of injury or bodily harm during the commission of the offense, to either the victim of the larceny or to a third person, those factors will also increase the penalty. The same holds true if the defendant used some type of weapon in committing the offense. Sentencing and the range of penalties that follow either a guilty verdict or a plea of guilty are largely fact-driven, and depend upon the particular facts surrounding the crime that is committed. Boston, Massachusetts Theft Crimes and Property Crimes Attorney: Why hire the Law Office of Attorney William D. Kickham To Defend My Theft Crimes Charge? If someone is charged with a Massachusetts theft crime or a property crime, that person is going to need to retain a talented and experienced criminal defense attorney - one who can demonstrate a proven track record of success in defending charges of theft and property crimes in Massachusetts. To choose an attorney who only handles these cases "now and again" is a foolish decision, and anyone who does so, or who chooses an attorney based upon the lowest fee possible, is inevitably going to be sorry. In the legal profession as in any profession, "you get what you pay for." Don't make that kind of mistake. While our fees aren't among the lowest, our talent is among the highest. 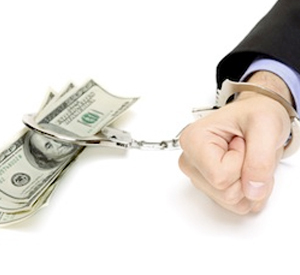 We know how to aggressively defend Massachusetts theft crime charges, and we can protect you from Day One. Call us 24 hours a day, seven days a week at Ph. : (781) 320-0062, or contact us online for a free initial consultation, and we'd be glad to let you know what your legal options are, and what we can do for you.